Posted October 11, 2012 . 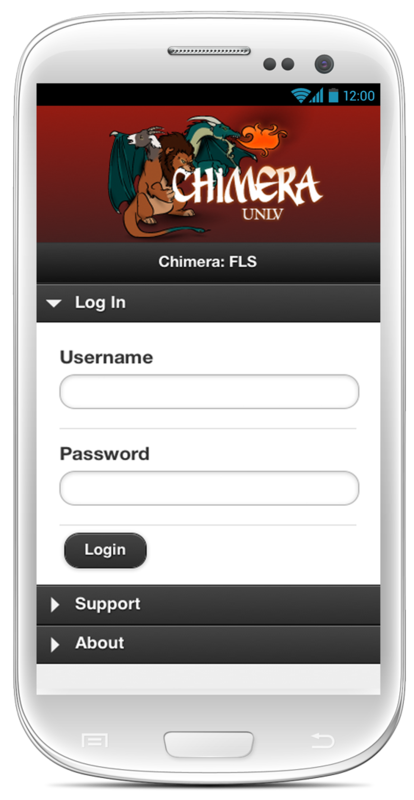 Chimera:FLS was created to replace the old Chimera:SIS app. It’s strictly a mobile website. 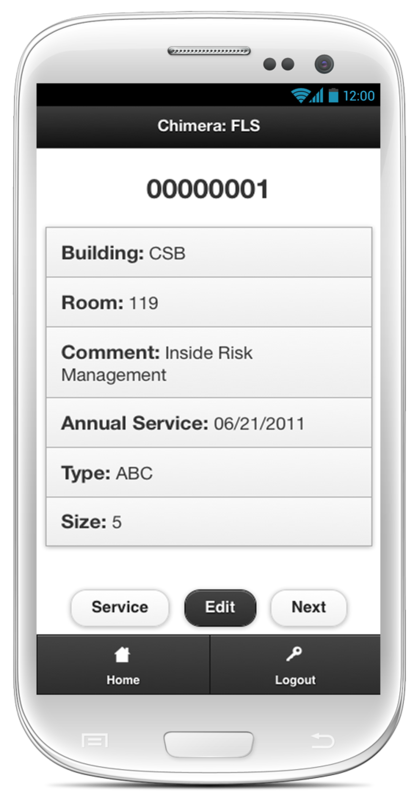 UNLV Fire Safety Inspectors used any 3G or Wifi connected devices to use it. 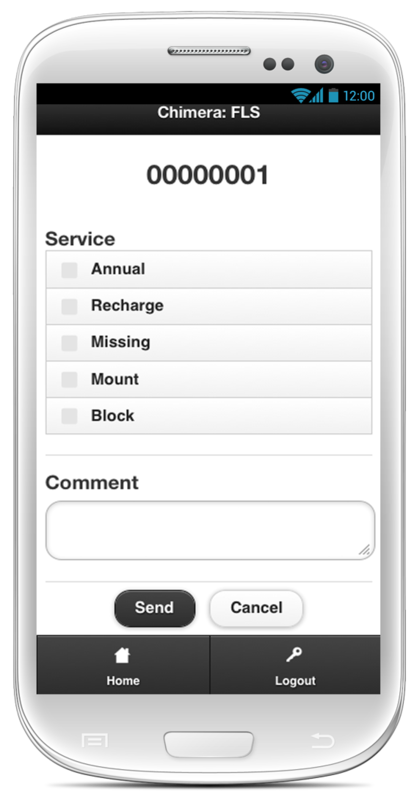 This app was the model to make Chimera:FEq and was quickly replaced by it. Below is the login screen. It had to be implemented for security purposes since the site was public. 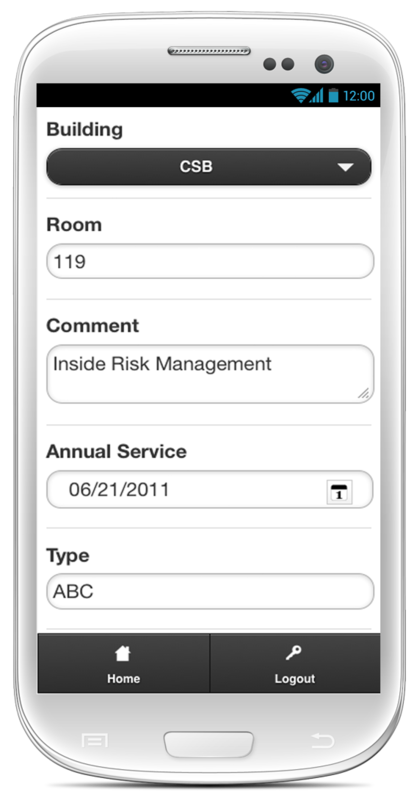 After the login, the dashboard is a menu list of all the options that Fire Safety Inspectors need. 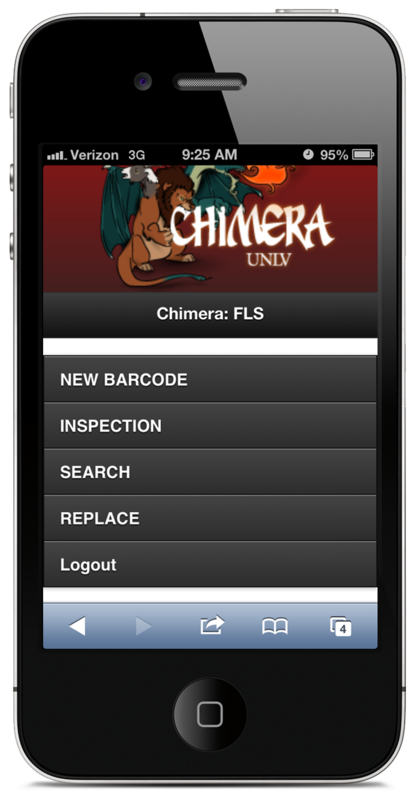 The main difference between this app’s predecessor, Chimera:SIS, and its successor, Chimera:FEq, is that it was used to update old barcodes to a new system and replace non-existing ones. Ultimately, it helped make Chimera:FEq its own unique feature and data system. At the same time, it continued Fire Safety Inspections like normal. 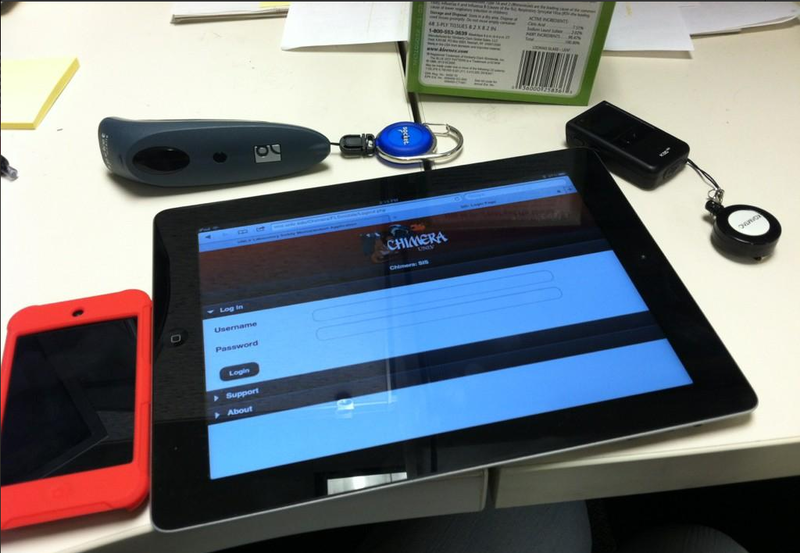 The app gave convenience to inspectors so that they don’t have to use papers to carry around. Below shows the information of an item. The information is a fire extinguisher. All the information can be updated by the inspector. This is why login was necessary because anybody can update this and the changes are quickly reflected in the database. Aside from knowing the information of an item, an item can be issued a request so other departments can schedule it for cleaning, replacement, fixing, etc. Since the app used jQuery Mobile, it was available in iPads as well.